By definition, midrange decks start by controlling the early game, then cruising to victory on 1 or 2 large threats. BW Midrange is a different take on the traditional BGx Midrange deck. It eschews green mana in order to play a more consistent mana base and utilize utility lands. Much like other black based midrange strategies, it starts out on a base of hand disruption and Liliana of the Veil. From there, our game winning threats aren't the giant Tarmogoyf or Primeval Titan used in other decks, but rather resilient, difficult to answer creatures such as Pack Rat, Brimaz, King of Oreskos, and Hero of Bladehold. The biggest advantage BW Midrange has over other B/x/x decks is Pack Rat. 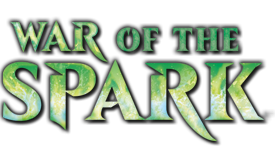 We are basically replacing Tarmogoyf in our deck with Pack Rat under the assumption we will win a long grindy game. This card also helps to make our mid to late game discard spell draws relevant as every card in our deck is a Pack Rat once we have one in play. Another advantage to playing this deck is the utility lands thanks to our 2 color mana base. 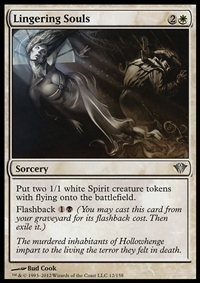 Most lists currently run as many as 6 colorless sources and have little to no mana problems because of them (This includes one of the most aggressive man lands mutavault) Finally the black white color combination gives you access to one of the best cards in the format, Lingering Souls. Very few cards can hold off affinity like this card does, while also interacting very well both with Liliana and Pack Rat. We also have a fantastic suite of kill spells to keep the field clear, and some of the best sideboard cards in Modern. BW aggro-control already exists in the form of BW Tokens. BW Midrange began to arise with the printing of Pack Rat and Brimaz, King of Oreskos, as they can close out a game without the need of Anthems like a traditional token build. In early 2014, the deck gained rapid popularity on MTGO, placing 4-0 in dailies, solidifying its possition as an established deck. 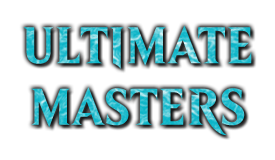 From there, Chris Dearing (MTGsal's immapwner) earned 1st place at a PTQ in Little Rock, AR on June 2014, firmly putting BW Midrange on the map. The deck has also gained the attention of pro players such as Craig Wescoe. The name "Deadguy Ale" dates back to the legacy midrange deck of the same name. The legacy deck was designed a decade ago by team Deadguy, which included big name magic players such as Jon Finkel, Dave Price, and Chris Pikula. As the story goes, Rogue Deadguy Ale was their brew of choice while brewing the deck, and the name has since become synonymous with BW Midrange. If you're wondering "why are we still using the name after all these years?" the subject has been discussed in depth here. This is generally the core of the deck that should remain almost entirely unchanged. The number of thoughtseize equivalents is flexible so long as you keep at least 7 discard spells. I would suggest keeping 4 of every other card in this shell. The cards below are the most common choices to make up the remaining core of the deck. That doesn’t necessarily mean you have to run them, but all successful decks start with these core cards. The list is divided by what role the card plays in the deck. Thoughtseize B 1cmc and 2 life to see your opponents whole hand and then taking whatever nonland card you want from it. Mkay. It's usually called the second best spell in modern after Lightning Bolt. Path to Exile W Always run 4. It’s usually considered among the premier removal spells in modern. Slaughter Pact 2B More expensive and conditional than Doom Blade, but being able to play it the turn before you pay for it allows you to tap out playing our numerous sorcery speed cards, and be ready for whatever craziness your opponent will cast on his turn. Darkblast B Becoming popular thanks to the very common Robots match. The dredge mechanic is useful, as you can Darkblast on the upkeep, dredge instead of drawing, and Darkblast again. Also, if we have Bob on the field, we still get a card off the top. That's serious advantage. Liliana of the Veil 1BB The premier 3 drop walker. Liliana can quickly chew up a players hand, or force our opponent to sac the creature left behind after our path to exile. It can also be run from the sideboard. Lingering Souls 2W Always run 4. It is usually considered to be amongst the best spells in the Modern format, some decks splash white just so they can have it. Dark Confidant 1B Should need no introduction. The card advantage Bob produces is unparalleled. It is important to keep the average cost of our deck low to minimize our life loss to him. Pack Rat 1B Our winning creature of choice. Pack Rat can turn our extra draws from Bob into more rats, creating a serious amount of damage. It's important to make sure the field is safe before casting. Hero of Bladehold 2WW Some use her as a alternative to the Planeswalkers. She does put a ton pressure on the opponent if she is active, but not doing anything for the first turn when costing 4cmc is pretty steep. Brimaz, King of Oreskos 1WW Run no more than 3. Hail to the King! 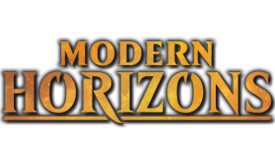 At first glance, Brimaz is a weaker Hero, that competes with our 3cmc slot token generators. In reality, the 3cmc is a benefit (see explanation below), and he puts serious pressure on your opponent. He also decreases your reliance on Intangible Virtue, as he produces Vigilance creatures. Tidehollow Sculler WB In a perfect world, it’s a Thoughtseize with a 2/2 body for 2cmc. Sadly the world we live in (modern) is pretty far from perfect. The biggest problem is that he always eats removal, thus returning whatever card you chose. As such, an easy conclusion to draw is that Sculler should always take the removal spell. This is not entirely true, as Sculler really shines as a tempo choice. You get an opportunity to see your opponent's hand (always good), and then choose the card they most need. They can then waste a turn killing the sculler (a psuedo time walk), or try playing without a (hopefully) key piece of their deck. This can create a 1:1 trade. We both spend a card from our hand, and we both spend a turn of our time. Because we have Dark Confidant, stalling for a turn is still powerful as we can draw a card. TL:DR Sculler is worth 3 or 4 slots. Arid Mesa The other fetchland that get get us plains. Not strictly needed, but it does help a bit. Godless Shrine Always run 4. Our shock land. Isolated Chapel We run Plains and Swamps and need white and black mana. Fetid Heath Filter that mana! So we can drop a Auriok Champion on turn 2 from our turn 1 Thoughtseize enabling Swamp into a turn 3 Lilana. As it only provides a colorless mana on it’s own and doesn’t synergize with Isolated Chapel, running more than two is not recommended. Vault of the Archangel It really helps restore our life total. Because the deck doesn't require too many colored mana sources, we can get away with a few colorless option. Urborg, Tomb of Yawgmoth Helps us get a color our of our colorless land. It's a solid singleton replacing a swamp. Mutavault It's a Rat! It's a Golem! It's a 2/2! It's a land! Like most midrange or control decks, it's good to have a man-land win con back up. Mutavault is our clear choice due to the synergies listed above. While the core cards above usually make up most of the 60. There is definitely opportunity to change some things depending on your local meta, or personal preferences. Elspeth Tirel 3WW Considered the premier walker for BW Tokens, Tirel's power should not be underestimated in this build. Every ability is relevant to our game-plan. Even the final wrath ability leaves our Rat tokens untouched. Unlike the other walkers, Tirel can actively recover a bad board state. Elspeth, Knight-Errant 2WW One of the best walkers in Modern, she can provide a chump blocker each turn for that goyf, give you card advantage vs. control or provide you with a faster clock. Starting on 4 loyalty and having two +1’s means she is very resilient. It should be noted that only buffing or producing 1 creature a turn is great for stabilizing a powerful board state, but not for creating one from scratch. 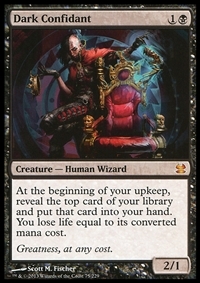 Sorin, Lord of Innistrad 2WB In this deck he proves to be very much like the Knight-Errant. His -2 for a permanent anthem is great, and the lifelink on the tokens he produces should not be underestimated. Swords can provide protection to our creatures while making them more threatening, and putting your opponent on a shorter clock. Sword of War and Peace 3 Making a creature (like Brimaz, King of Oreskos, or Mirran Crusader) Lightning Bolt and Path to Exile proof is a huge bonus. Gaining life when it hits is the icing on the cake. Sword of Fire and Ice 3Also provides relevant protections, deals extra damage to players, and lets you draw. All around solid card. Sword of Feast and Famine 3Again, the colors of protection are relevant, and being able to untap all land going into your second main phase can set up a dominate board state quickly. Batterskull 5A solid choice of closer for any control type deck, especially paired with our lingering soul tokens. Duress B Shouldn’t be in the main 60 unless your meta is combo and control heavy. Generally, you want thoughtseize of inquisition. Dismember 1(P/B)(P/B) A great card that sees a lot of play both mainboard and sideboard in others decks. Disfigure B 1cmc instant speed removal that works against the majority of modern staples is never a bad thing. Engineered Explosives X It can shut down bogles, robots, and merfolk easily. Definitely an option over doom blade, depending on your meta. Doom Blade 1B It's simple and effective. Sometimes, you just need to kill something. Zealous PersecutionWB A one turn anthem for your team, and negative anthem for theirs. It can act as a pseudo sweeper against robots and bogles (in response to them casting an enchantment). It has the benefit in the late game of making an attack lethal, and ruining your opponents combat math. Mirran Crusader 1WW Strong against Goyf and bogles. A few successful decks have ran it, and it's also recommended by Craig Wescoe. Auriok Champion WW Being protection from black and red means she won’t be getting removed too easily. Giving 1 life for each creature entering the battlefield means you’ll be gaining pretty much life from all your tokens. If you have two in play she acts as a hard counter for the combos of Splinter Twin and Murderous Redcap. Still, in some match-ups she is close to a dead card and usually the first one to be side-boarded out. Blade Splicer 2W A colorless Golem with First Strike can swing for real damage, and can block creatures with color protection (eg, etched champion). She can also chump block, and has the benefit of giving Mutavault First Strike, too. Kitchen Finks 1(G/W)(G/W) A great option to compensate for the deck's self damaging nature. The WW casting cost can be a deterrent. It also doesn't pair well with RiP, which is a common sideboard card. Restoration Angel 3W A 3/4 Flyer with Flash can be a great surprise play all on its own. Couple that with the ability to blink Blade Splicer, reset Kitchen Finks, or take a second peek at an opponents hand with Tidehollow Sculler is very powerful. Still, it can be gimicky, so currently resides in the "alternatives" section. Baneslayer Angel 3WW A very quick game ender. She's our Thundermaw Hellkite. Some players avoid her due to the high cost (and risk of flipping it to Bob), but untapping with one is probably a win. Blood Baron of Vizkopa 3WB Similar to Baneslayer Angel, but trades flying a 1 point of power/toughness for pro white and black. Since WB are the most common removal spells, this increases the odds of untapping with it still alive. Squadron Hawk 1W Hawks used to be staples. They can be pitched to Liliana, Pack Rat, or be equipped with a sword to become a real threat. Unfortunately, the are weak on their own, and the deck risks loosing consistency to run them over Tidehollow Sculler. Emeria Angel 2WW In a build with 8 Fetchlands, she can be an army in a can. She does die to removal/bolt, but we are playing disruption. As a flier, it can be an evasive threat vs Tarmogoyf while leaving behind chump blockers and pingers. Because she's a 3/3 the risk of loosing a 4 mana investment is still very high. Caves of Koilos A cheap alternative if you don’t have enough fetches. Ghost Quarter/Tectonic Edge Having a way to remove pesky land is great. Generally the goal is to remove land with powerful effects, like man lands, or to stop Tron/Scapeshift. Keeping your opponent off a color of mana is a secondary goal. We could talk about sideboard for days. Ultimately, run what works in your meta. If you don't know what that is, there are a few solid options for "unknown" metas, but the ideal option is to go to events, and learn the meta. In general, it is best to run the Hatiest Hate Possible. You don't want to inconvenience your opponent, you want to ruin their day. Keep that in mind when making sideboard selections. Rest in Peace 1W A ‘hard’ alternative to Relic of Progenitus, as it has a continuous effect. Does tamper with your own Lingering Souls, so don't bring it in against Snapcaster Mage. It's not worth locking out one of your best cards, too. Grafdigger's Cage 1 The cage DOES NOT STOP LIVING END. It does, however, stop Storm and Pod (and our own Lingering Souls). It is a powerful solution to 2 very specific decks. Rest in Peace also hurts those decks, and has broader applications, so generally, the cage is not recommended. Stony Silence 1W Artifact hate. Shuts down the most troublesome cards that Affinity has, as well as significantly slowing down Tron (and stopping Birthing Pod). Seeing as those two decks are amongst the most popular, the consensus is that anything between 1-3 of this particular card is common sense. Burrenton Forge-Tender W Anti-hate. Pyroclasm and Anger of the Gods can wipe our board presence. This is our 1cmc answer to it. Pulse the Fields1WW A good counter to Red Deck Win or Burn because it's an inverse Flames of the Bloodhand that keeps coming back to our hand. Aven Mindcensor 2W Flashing this guy in can severely hamper decks that like to search their library, such Pod, Amulet of Vigor, and Scapeshift. It can slow down Tron as well. Being a 2/1 flyer means he’ll be pulling some extra weight as a damage dealer, especially with a sword. Runed Halo WW A very popular "unknown meta" catch all, Runed Halo can shut down anything trying to hit you. A slippery bogle, goyf, or even Deceiver Exarch. Leyline of Sanctity 2WW Another "unknow meta" catch all. It can stop opposing thoughtseizes, lightning bolts to the face (Burn in general), Liliana of the Veil and random mill decks. Rule of Law 2W Shuts down living end and Storm. Can be substituted for Ethersworn Canonist or Eidolon of Rhetoric. Eidolon also has the benefit of being a lightning bolt proof creature for the same cost. Celestial Flare WW Totally anti-Bogle tech. Torpor Orb 1 Stops ETB effects, most notably souls sisters, combo elves, and amulet of vigor (namely Primeval Titan). Obviously, it's a big no no if you're using Blade Splicer or Kitchen Finks. A good choice against local metas with budget players, as the decks listed above are lower tier, but cheap decks. Suppression Field 1W Stops twin, and slows down pod. Good option if you play against both decks in your meta. Disenchant 1W Simple and effective. It's a good way to take out artifacts and enchantments (big surprise, right?). Bring it in against Bogles, Robots, and lower tier strategies like Heartless Summoning and combo elve's Cloudstone Curio. Sundering Growth (G/W)(G/W) Probably the "better" disenchant, as the ability is the same, but will almost always net you another token. The only draw back is the WW casting cost. Pithing Needle 1 A great way to stop pesky planeswalkers, namely Karn Liberated. Oblivion Ring 2W Oring needs no introduction. It's fantastic, broad hate against anything that needs to go away. It is sometimes played over Disenchant or Sundering Growth as it has further applications in other matches. Fulminator Mage 1(B/R)(B/R) Another card with very clear uses. He brings the added bonus of letting us tap out on our turn to play token producing sorceries, while still having an answer to Urza Lands and Scapeshift. Can be subbed for Rain of Tears. Celestial Purge 1W Removes Bloodmoon, Liliana of the Veil, Splinter Twin, Dark Confidant, Olivia Voldaren, and Huntermaster of the Fells. A strong spell against Jund and Twin heavy metas, as well as covering targets our Doom Blade or Slaughter Pact miss. Surgical Extraction (B/P) A great way to remove all possibility of a combo after forcing a discard with Thoughtseize. When played properly, it can be utterly back breaking, and doesn't even require mana. Extirpate B Similar to Surgical Extraction, but requires mana for the benefit of Split Second. 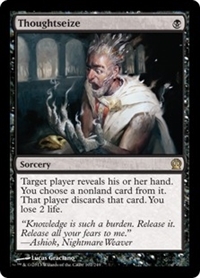 Memoricide 3B A more expensive Surgical Extraction, but has the benefit of not needing a target in the graveyard. Make sure you know the correct name of the card you want gone. Stain the Mind 4B A memoricide with convoke. It can still cannot be played before turn 4 (as we have no turn 1 creatures), but with Bob + Spirit Tokens already on the field, it can leave mana open for other spells. Damnation 2BB Very powerful against decks that win via creatures. Often, a well timed field wipe is a win against Pod, Affinity, or Merfolk. The "can't be regenerated" clause is also very important against Jund win cons like Thrun the Last Troll. Damnation gets a slight nod over Wrath of God, because of the BB cost. That mirrors the BB cost we're looking for in Liliana of the Veil and Fulminator Mage. Wrath of God 2WW Can be run over or alongside damnation. The WW casting cost is a slight step in the wrong direction for our curve. Here are some in depth articles about BW Midrange, taking a look at the decks strengths, weaknesses, specific matchups and so on. I highly recommend that you read them. At its simplest, the combination of hand disruption, spot removal, super efficient creatures, and the best hate/sideboard cards in the game can spell VICTORY in any meta. Still, to really push the deck over the top, it is important to understand the decks various interactions. The first question in every game: Do I keep this hand? Since we have powerful black control cards, and fantastic White hate, if you have previous knowledge of your opponent's deck, mulligan to a card that helps. This is especially true in game 2/3. If there is no advanced knowledge to draw on, focus on having a playable hand. This means two sources of two colored sources of mana, ideally (W/B)(W/B), but BW isn't horrible. Finally, the deck plays best on a curve. Thoughtseize into Dark Confidant into Liliana of the Veil or a 3cmc creatures is a classic midrange environment. Lingering Souls - It's a Sorcery. Darkblast can be played multiple times in a turn. Cast on your upkeep, then dredge back into your hand on your draw. You can do this AGAIN if you have a draw trigger from a sword. Finally, don't over extend. A common mistake is to flood the field with all we got (despite having enough already in play to push for lethal), only to get blown out by a sweeper. Sometimes, you have to aggro it up, but do not do that unless it is mandatory. There is plenty of room for variation in BW Midrange. For the matchups section, I've listed the major competing decks, and all none-core cards that help against that match. Your sideboard will not fit all these cards. Generally, you need to pad your mainboard a bit with what you think you're going to fight. In general, BW Midrange decks have flexible slots in their main deck removal, and probably a few personal touches. These will be what your drop for appropriate sideboard cards. It's important to not harm the core of the deck when sideboarding. Very popular deck as well, and the match up is probably 50/50 (despite some claims to be favorable toward us). Keep kill spells open for their threats (Steel Overseer, Archbound Ravager, and Master of Etherium). Obviously Stony Silence. Runed Halo is solid, too, as it stops Etched Champion. Also because of this match, I mainboard Engineered Explosives (destroys Cranial Plating) while at my LGS. Liliana of the Veil slows control. Thoughtseize to remove their sweepers. Watch out for Anger of the Gods in game 2/3. In general, we clog the field, and they can't always keep up with us. A single un-countered lingering souls or pack rat can win. To slow down Snapcaster Mage, we can bring in Rest in Peace. This gives them less of chance to recur sweepers. It also shuts off Lingering Souls and Darkblast, so it's not a recommended course of action by some players (notably Craig Wescoe). This deck is one of the most winning decks period, so it can be rough. As with other midrange strategies, we have a small advantage right out of the gate, being a less painful manabase. Their spot removal (lightning bolt/helix) doesn't do much against our token producing creatures and lingering souls. Watch out for Restoration Angel and Thundermaw Hellkite. The Hellkite is not super common, but can really wreck us, while Resto is just an all around good card that hurts our air superiority. Also, some newer versions are slipping in a Kiki-Jiki Mirror Breaker to create infinite resto angels. They have 2 combo paths - Hive Mind into Pact of Negation (or Summoner's Pact), or a haste, vigilance, trample, double strike Primeval Titan (thanks to all their lands). Don't let them search their library, and keep up removal for Primeval Titan. 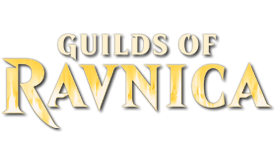 Generally, destroying their land is less useful than just killing prime time, but if you get the opportunity, Fulminator Mage their Slayers' Stronghold, then Sunhome, Fortress of the Legion. They also use Firespout to clear the skies. Pod is very popular right now, and always a deck to beat. The key is to stop them from using their toolbox effectively. Stony Silence their pod, and use Aven Mindcensor to limit their search ability. Make them play like a midrange deck, and they'll go down. Mirran Crusader is a powerful creature in this match. Super tough to beat. Celestial Flare, Liliana of the Veil, Runed Halo, and Engineered Explosives are your only prayer. Make sure you start with one in your opening hand, as the games go FAST. The key against burn is to gain life or stop any of their spells. They run out of gas fast, and rely on players hurting themselves to get faster wins. Try to only Thoughtseize if you know it can take a spell that would hurt you more than the 2 to cast. Don't shock lands in or fetch unless necessary. Watch out for sweepers in game 2/3. Probably a favored matchup, as they have a tough time fighting Lingering Souls. Again, watch for Anger of the Gods. Difficult game one. Nothing we do stops them, and when living end goes off, their board is crazy, full of big monsters, some with reach. In game 2, mulligan for RiP and Rule of Law. Use your inq/seize to grab Anger of the Gods and Beast Within. Don't be scared of Aether Vial. They're really trying to control you, while vialing in creatures. Keep their creature count low. Engineered Explosives does a great job of this (I've played it in my main 60 for this reason). Ghost Quarter also stops island walk (when used on yourself) of their mutavaults. Like all combo decks, the goal is to hold the combo at bay, or ruin it entirely with Leyline of Sanctity. Remember that when scapeshift goes off and all the mountains enter play, Valakut puts a number of triggers, equal to the number of mountains that came into play, on the stack. TecEdge can destroy a mountain in response to the first valakut trigger resolving. The remaining triggers will still be on the stack, but if they no longer have the 6 mountains necessary, none of the remaining damage will be dealt. Same trick can be done with Fulminator Mage/rain of tears. In this match, Ghost Quarter doesn't help. Keep the sister's dead, and our tokens will clog the board for the win. Engineered Explosives, Zealous Persecution, and Torpor Orb all hurt their deck. Pretty simple goal in this game: Don't let them combo. We have a few ways to prevent that, namely Rule of Law to stop the combo directly, and Rest In Peace to remove their combo pieces. If possible, Thoughtseize before playing a combo stopper to make sure they can't counter/remove it. Leyline of Sanctity and Runed Halo can also just stop the damage. Don't forget to hold Zealous Persecution if they change gears and go for the goblin swarm. To win this match, go full aggro. Get enough damage on the board for Karn to just not matter. Always watch out for red sweepers (Pyroclasm, Anger of the Gods, etc), and keep them from assembling the Urza Land if possible. For the first point, bring in an anti-sweeper card like Burrenton. 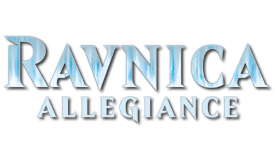 To stop the land, prevent them from using their artifacts to search (Stony Silence, also good against Oblivion Stone), prevent them from searching their library with Aven Mindcensor, or just destroy the land with Fulminator Mage, Tectonic Edge, or Ghost Quarter. + Pithing Needle or Oblivion Ring against Karn. Same game plan as RG, but no more red sweepers to worry about. They favor the Academy Ruins package, which fuels the super fun Mindslaver lock. Fortunately, Stony Silence and standard land destruction makes that tough. If they do get the lock, you can request they play it out. It takes about 10 minutes to mill out a deck 1 turn at a time. They have to use Academy Ruins, draw the mindslaver, cast and activate the mindslaver, pass the turn, then draw your card, tap your land, and pass the turn back. You can get lucky, push the game to time, or catch them in an error. Be very cautious of mass return spells, like Cyclonic Rift and Aetherize. The key is to break their combo. They can't really fight our token army, so make it hard to combo off, and we can win. Keep Path to Exile mana untapped (even if just as a threat), and hold Zealous Persecution to either guarantee a win or to stop the combo for 1 turn. Focus on applying pressure. Slow their ability to combo with Torpor Orb and Thoughtseize. Fight their green monsters with Mirran Crusader and Brimaz, King of Oreskos/Hero of Bladehold. Hold Zealous Persecution or Path to Exile to fight the combo. Keep in mind that if they don't combo, they're a midrange deck, and Walkers (Elspeth or Liliana) + lingering souls is tough for them to fight. Same as TarmoTwin, but now they don't have scooze or goyf. This deck plays with more of a midrange feel, which gives us an advantage. I'm far from a professional wordsmith. If you see any typos, or areas heavily tainted with personal preference, please PM me so we don't flood the forum. You said plainswalkers instead of planeswalkers once. Also, no one calls Affinity Robots. This forum doesn't, the major sites don't, and even Wizards has stopped. Please change the primer to reflect that. Edit: Also, you mistakenly listed Baneslayer Angel's cost as 3W instead of 3WW. Awesome Primer. Thank you for including some of my suggestions. Subscribed. By the way, I feel the deck should be called 'Yin Yang'. I nominate Ghost Rats as the deck name. Also nice to see a new primer! 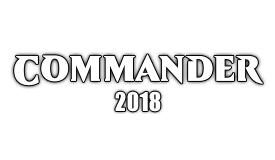 Fulminator's cmc has to be fixed and Stain the Mind > Memoricide in our deck. I'm far from a professional when it comes to wordsmithing. If you see a typo, please PM me so we don't flood the forum. Post suggested names to the naming poll. Sword of Light and Shadow is very good, too, especially with Fulminator Mage. Undying Tidehollow/Pack Rats/Brimaz is powerful as well. I've been testing Athreos, God of Passage as a 1-of and it's been a viable threat. I had a game where I sacrificed Fulminator Mage with Athreos on the board and my opponent had 4 life left. He allowed me to return it back to my hand and he resorted to me blowing up his lands. Awesome. Pretty nice primer man! I am a little sad people don't like my BW attrition name though. I have been considering replacing my single rest in peace for chalice of the void since chalice is a pretty nice insurance plan against burn which I see a lot of. Chalice still hits living end when just set to 0. What do you guys think? In case it wasn't added already, I nominate Oreos for the deck's name. The deck is black white and Brimaz is the Oreo king. Also, can we have a secondary poll after this one? Like choose the top 2 or 3 names that got the most votes and then allow people to choose between them? It just feels like the people who want new names are getting divided between several (Yin Yang, Oreos, Tom and Jerry), which gives Deadguy Ale an advantage because all of the people who want to keep it as Deadguy Ale will all vote for 1 choice. The poll probably should have been between changing the name and keeping it the same and then had a second poll for what the new name would be if more people wanted it to change. Edit: I guess Deadguy Ale isn't that bad. It fits in Modern's decks with Blue Moon nicely. I just like Oreos and Tom and Jerry better. Good point, Valanarch. If the new names gain some ground, we'll go for a runoff. Unfortunately, deadguy and bw midrange account for over half all the votes, so a runoff wouldn't change anything. I agree. Oreos, Tom and Jerry, and Yin Yang are the best new names. We shouldn't stick to Deadguy Ale or the typical BW Midrange/Attrition. 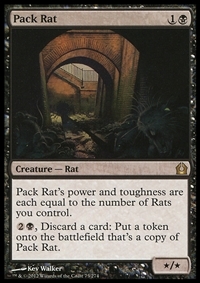 I also don't agree with 'Rat' being anywhere in the title because Pack Rat isn't a staple here. It's just a very good option. My version doesn't even run Dark Confidant because I run higher curved cards like Hero of Bladehold, Sorin, Lord of Innistrad, Elspeth, Knight-Errant, Restoration Angel, Utter End, and Baneslayer Angel. My version has been performing very well and is definitely not traditional. Now I'm just trying to squeeze in Phyrexian Arena. Blade Splicer might become Mirran Crusader. Reconsidering Liliana of the Veil and Aven Mindcensor. It really should be named oreos! "Deadguy Ale" has history as "the BW midrange deck" in the same way that Rock and Junk continue to be used. It also allows for "Redguy Ale" or "Ginger Ale" in the red splash versions. Nice primer.. I'll be sure to keep a look. What do you guys think of my list? I've actually only had trouble vs BW Tokens, believe it or not.